At least five Houston officers were injured in a shooting on Monday night following an encounter with a suspect, according to the the city's police department. 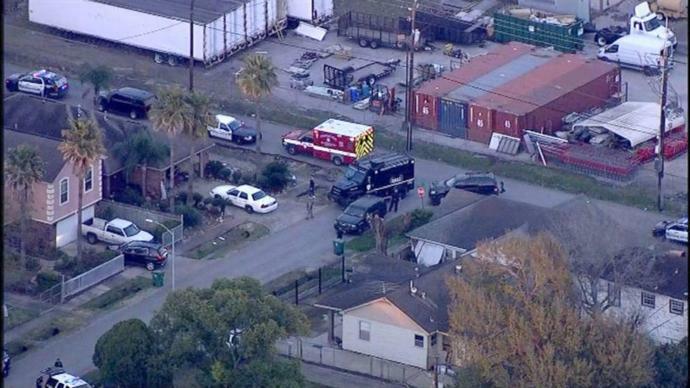 The officers were "struck with gunfire" while responding to a scene at a residence in the southeastern area of the city, the Houston Police Department said in a tweet. "HPD responding to a scene at 7800 Harding where officers have been struck with gunfire following an encounter with a suspect," the department said. "Officers are en route to the hospital. Please avoid the area and yield for emergency vehicles. Further updates will be provided as available." The wounded officers were transported to a local hospital. Their conditions were not immediately known. A suspect was killed at the home, but the department said it was still working to secure the scene. "We can confirm 1 suspect is DOA at the scene," the department tweeted. "SWAT is actively working to make sure there is no one else inside the location at 7800 Harding. Continue to avoid area." "This evening's horrific attack on police officers is a solemn reminder of the service and sacrifice our brave men and women in law enforcement make every day to keep us safe," Abbott said. "The city of Houston and the Houston Police Department will have whatever state resources they need to bring swift justice to those involved."